Dunmow Double Glazing Ltd - Fascia/Soffits/Guttering, Windows/Doors/Conservatories based in Dunmow, Essex. 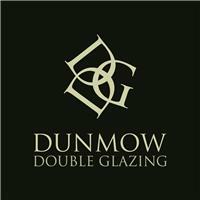 Dunmow Double Glazing Limited are a locally ran business. We pride ourself s on good work ethic and a lot of our work is generated from existing customer recommendation. We offer free advice on any work you are considering taking out, and can provide expert knowledge on the best products available. We supply UPVC and Aluminium Windows and doors. A-rated windows as standard, Certass Registered, 10 year insurance back guarantee Quick, clean and professional installations and service to match. We cover all of Great Dunmow, Felsted, Flitch Green, Takeley, Little Easton, Thaxted, Stebbing also out towards Braintree, Chelmsford and all areas in and around Essex.